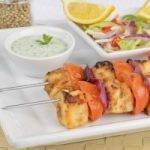 Fillet of fish marinated in flavoured spices with yoghurt mix served with raita on sizzler. Marinated chicken with homemade Cashew Tandoori Masala. 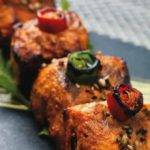 Traditional delicacy of the Indian Tandoori cuisine marinated. 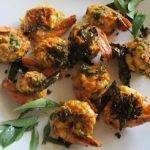 Jumbo prawns, grilled in tandoor. 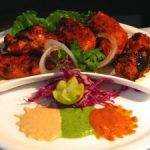 India4u specialty with tandoori style. Cream cheese with fresh cow's milk homemade marinated and grilled in tandoori. 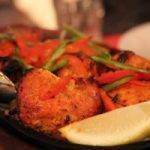 Marinated and filled with Tandoori and served with Cheese Naan and salad. At his cowboy picnic at Prather Ranch, Chris Cosentino served copious amounts of meat, including Italian sausages, Prather's rib eyes. 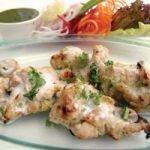 Well marinated chunks of lamb before cooked in tandoor served with raita on sizzler.